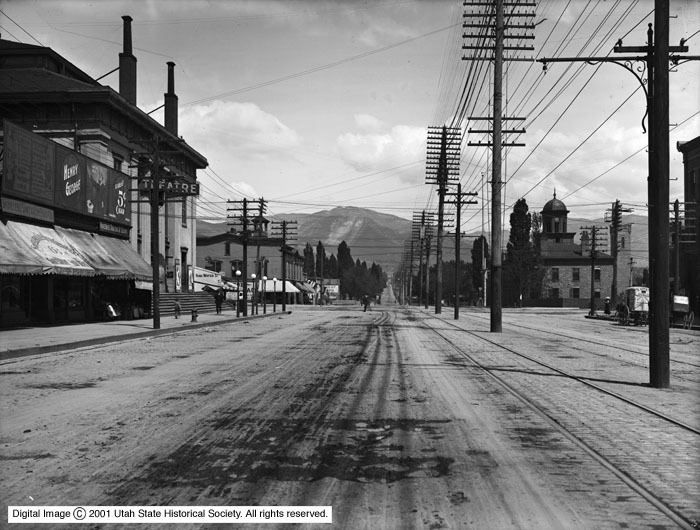 Description Image shows some road construction and paving work along 100 South, in front of the old Salt Lake Theater. Comment Patrick (P. J.) Moran was the contractor for this project. Source Donors Harwood, Willard R.